The Gorges du Verdon opens up to meadows and fields of bright red poppies. 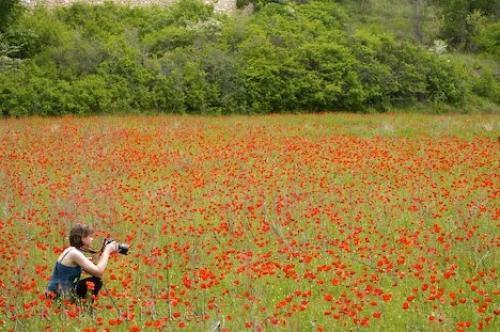 A woman photographing in a field of Poppies near Moustiers Ste Marie, Alpes de Haute, Provence, France, Europe. Model Released. Photo of a woman photographing in a field of red poppies in the Alpes de Haute region of the Provence, France.